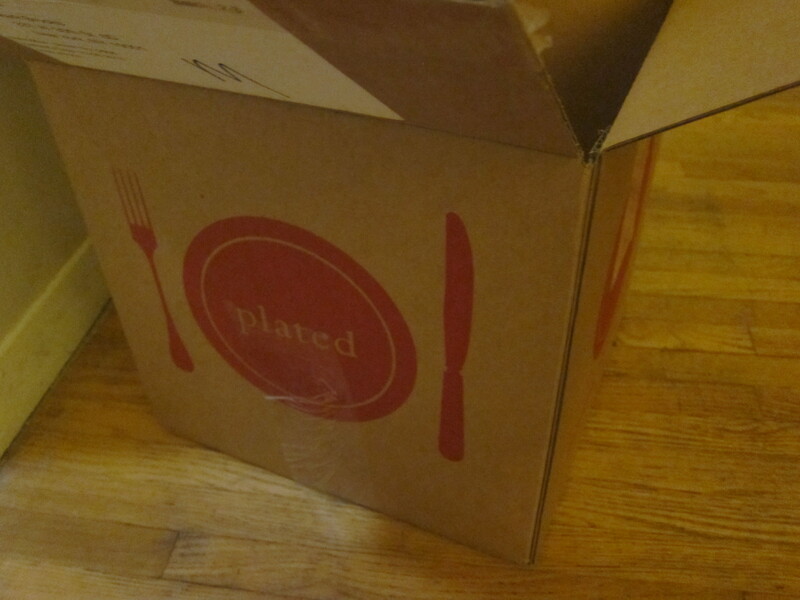 Mark had an offer for 2 meals from Plated for a great price. 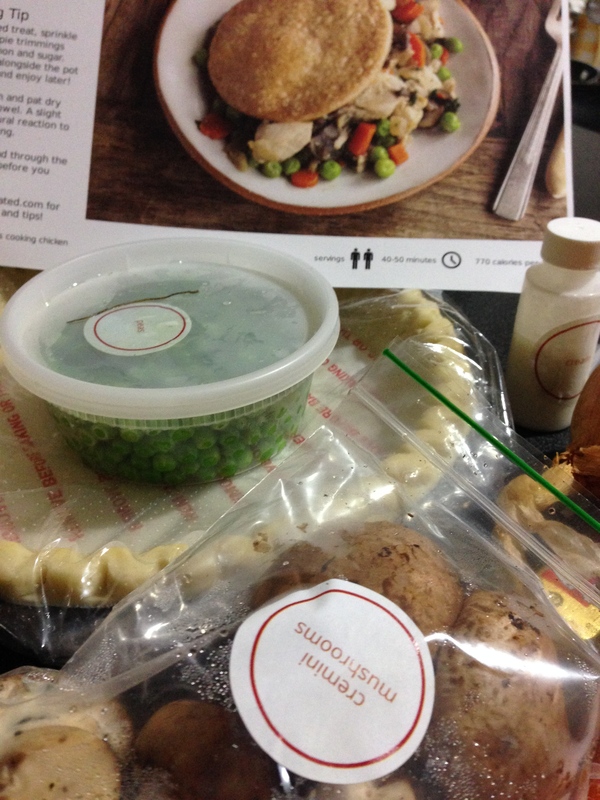 The service lets you pick recipes from that week’s menu, then sends you a box with all of the ingredients to make the meal. 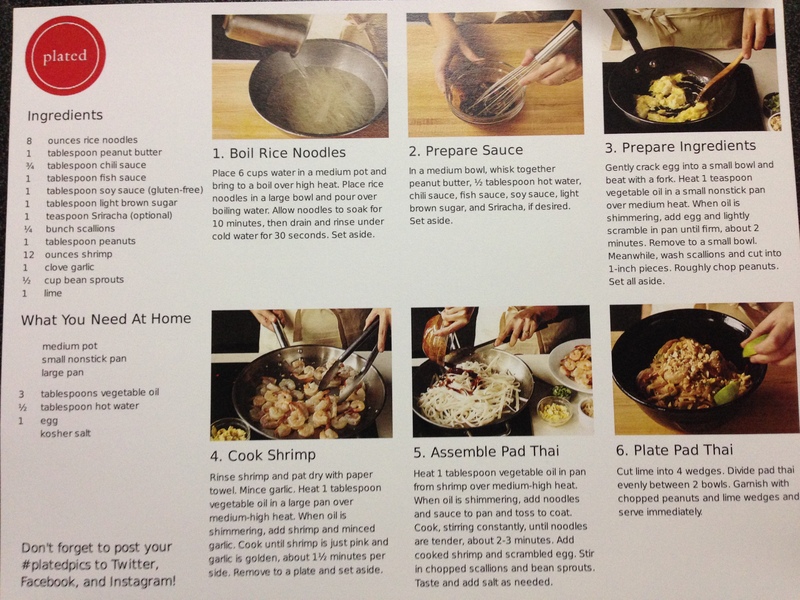 Super easy way to feel like you cooked at home. The menu changes weekly. I can’t say these are low cal, but they were tasty. Monday night was shrimp pad thai. 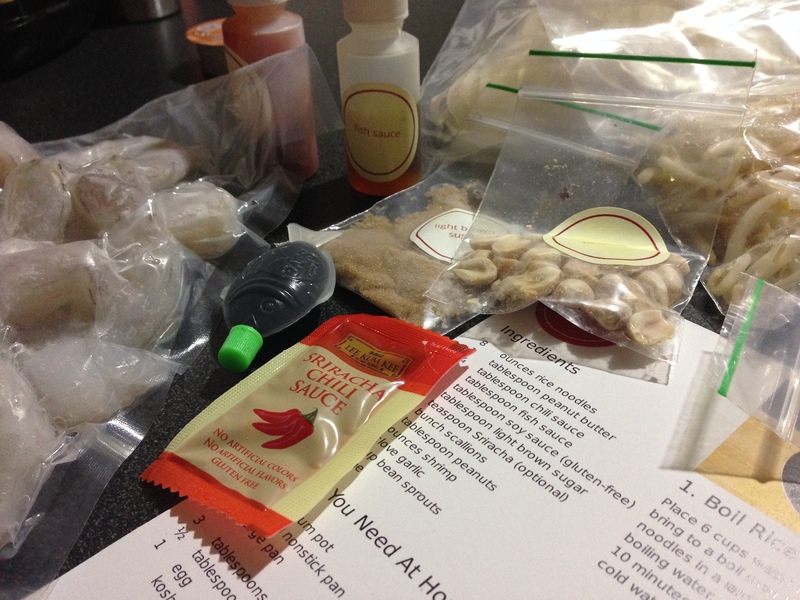 What I learned from this was that pad thai is really not that hard to make once you have some of the basic sauces. And then on Tuesday night we made Chicken Pot Pie. 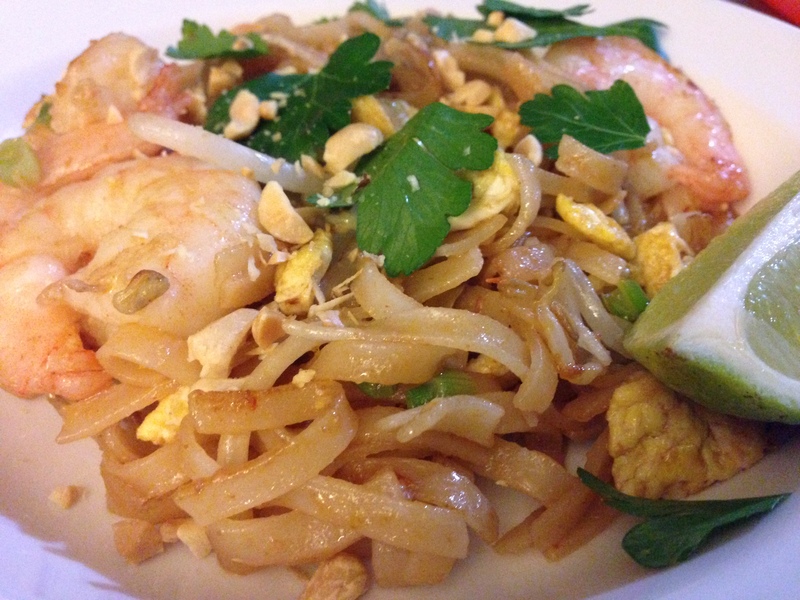 In New York, it’s pretty easy to run out and get pad thai for a great price (especially in our neighborhood). 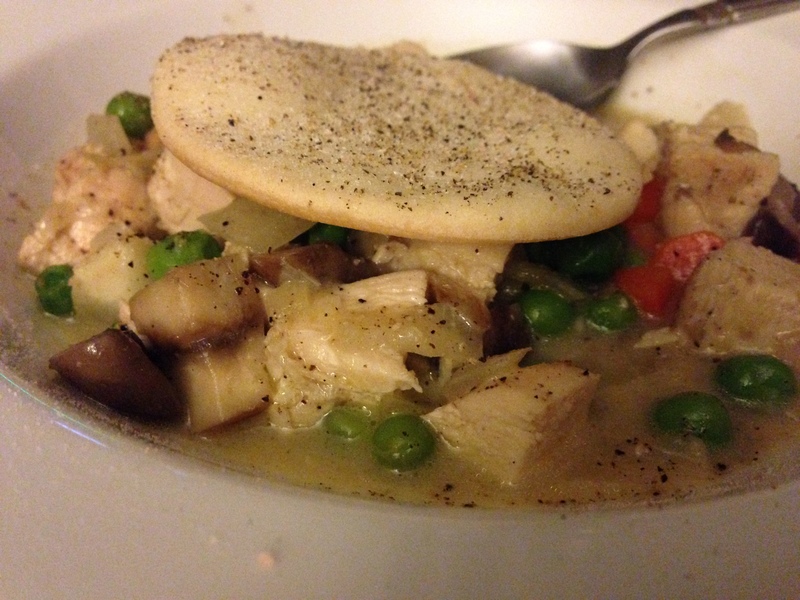 The pot pie was easy because you just used a pie crust and cut out circles for the top of the chicken filling. Both meals were ready in about 30-45 minutes. Looks like a really great system!